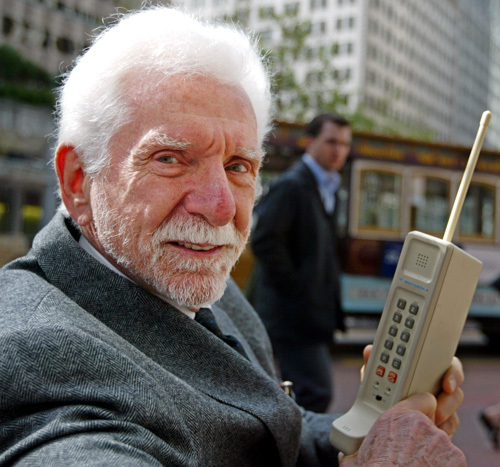 Dr. Martin Cooper of Motorola is considered to be the inventor of the first practical mobile phone. On April 3, 1973, Martin placed a call to rival Joel Engel, head of research at AT&T's Bell Labs, while walking the streets of New York City talking on the first Motorola DynaTAC prototype. The Sharp J-SH04 was the industry's first mobile phone to feature an integrated 110,000-pixel CMOS image sensor for taking digital photos (camera mobile phone).